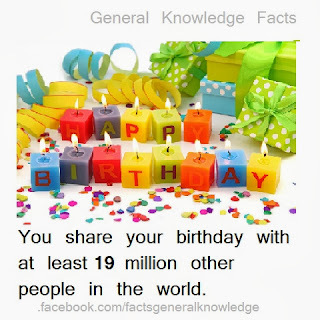 Home » age facts » amazing fact » birthday facts » featured » general knowledge facts » human » human facts » humans » population of the world » sharing birthday with 19 million » world » world facts » You share your birthday with at least 19 million other people in the world. 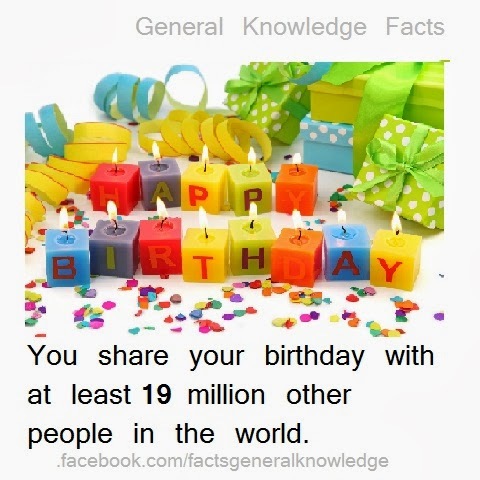 You share your birthday with at least 19 million other people in the world. When you celebrate your birthday you should remember the fact that on the same day over 19 million other people celebrate their birthday around the world. You share your birthday with 1/365 of the population. (Except for those born on February 29). The population of earth is 7 billion.1/365 of it makes over 19 million. You share your birthday with 3.7 million Chinese,3.2 million Indians 0.8 million people from the US and so on.But only 2 to 3 people of Vatican city. All we discussed above was when you were not born on February 29.If you were born on 29th of February 1/1461 of the population and that is 4.7 million people.